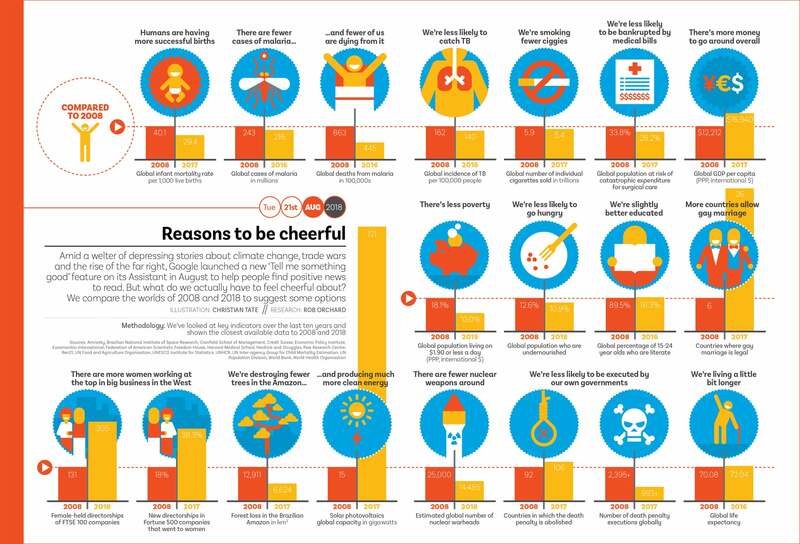 Infographic: Reasons to be cheerful from Delayed Gratification, the Slow Journalism magazine. As 2018 drew to a close, in DG #32 we published an infographic that suggested the world might not be as bad as the onrush of negative news headlines might have us believe. Click on ‘Reasons to be cheerful’ above to count the ways humanity has progressed in the decade since 2008.